Jerry Humphrey was born in Wichita Falls, Texas and raised in Henrietta, Texas. Being a life long resident of the area gives Jerry an extensive knowledge of Wichita County and Clay county. He has been married to his wife, Cindy, for 16 years and they have three children, Thomas, Dustin, and Coltin. Jerry is a great listener and believes in putting his customer’s needs first. His number one goal is finding the perfect property that fits exactly what his clients are looking for. Jerry’s previous career as an insurance adjuster has made him pay extreme attention to detail. You can count on him to pay attention to the smallest requests when working with him. 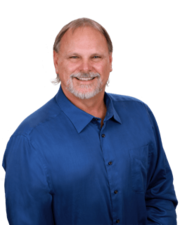 If you are looking for a REALTOR that will work hard to find you that perfect home or a piece of land, give Jerry a call.